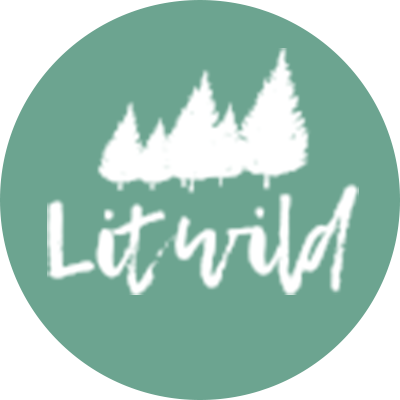 A hiking and kayaking expedition across forests and lakes of Lithuania's wilderness. Immerse yourself in the wild with this eight day hiking and kayaking adventure to explore the forests and lakes of Lithuania's magical Gražutės Regional Park. Kayak over placid lakes, hike deep into the woods and visit local woodworkers in their workhouses to experience rustic Lithuania. Encounter beautiful and mirrored lakes, perfect for kayaking and wild swimming with dense pine woods home to rare species of birds, crystal clear rivers that run to the Baltic sea and tiny villages for a slice of local life. Camp beneath the stars, sleep in cosy guesthouses and set about a new adventure each day. Stretch those legs and prep for a day of walking deep into nature. The day gets going with some light morning exercise, followed by a tasty local breakfast. After breakfast set off to nearby lakes – Trilypis, Skaidrys, and Švento, dominated by pines, green mosses, and picturesque lakes formed following the Ice Age. Hit the lakes for wild swimming before lunch (cooked over a campfire). In the afternoon, make a tent camp by Švento lake and meet a local host, who shares what it‘s like to live in a 2-persons village. Later on, we relax in a traditional Russian-style „banya“ (sauna). We dinner with our local - one of two in the village. As dusk falls, chill by the lake or explore your camp before settling down to sleep beneath the stars. Splash yourself awake on a wild swim before breakfast then head to Šventoji, one of the longest Lithuanian rivers, which pours into Luodis lake and then onto the Baltic Sea. Walk past small villages for an insight into rural Lithuanian life then pause for packed lunch before heading in to the village of Salakas. In the afternoon you'll arrive at your pretty guesthouse, where you'll enjoy a hearty dinner. Then it's your time to explore Salakas village on your own, as well as take a walk along the “Elk’s” exploratory pathway. Dip into the sauna as the sun goes down and rest those hiking legs. In the morning after breakfast you'll arrive at the clear waters of Luodis lake and continue your tour by kayak, stopping at some peninsulas and on the islands of Luodis lake to take in the vast expanse of nature around you over lunch. This is heaven for fishermen, so you'll likely meet some fishermen along the route. Your way then leads through the waters of Šventoji river to your next guesthouse. In the afternoon you'll take a short walk to a nearby village to meet a local honey-maker Janina, who'll shed light on the secrets of honey-making and give you a try of some of her best honey before dinner at her farmstead and a sauna back at the guesthouse. Hit Šventoji river again and kayak onto the peaceful Antalieptės reservoir, made up of 26 lakes, full of little islands - the majority of which are a natural habitat for a huge variety of bird species. The day ends at your guesthouse for the night and an essential muscle-relaxing sauna session. Chill at the Antalieptės reservoir and do exactly what you want and need today. Stay at the guesthouse with a good book, take a walk around, use a boat to paddle through the lake, hike to a former water mill or forage for mushrooms and berries. Your packed lunch will be provided plus a delicious dinner back at the guesthouse, cooked over an open fire. Work your way through the forest on two wheels down unpaved forest roads to visit local woodworkers at Degučiai village, a natural landmark “Spruce sisters" and a 100-year-old wooden chapel. Then enjoy your final dinner at your guesthouse for the night. Enjoy one last breakfast with the group before your transfer to Visaginas, where you'll be able to connect to Vilnius or Kaunas airport and wave goodbye to your magical week discovering Lithuania.